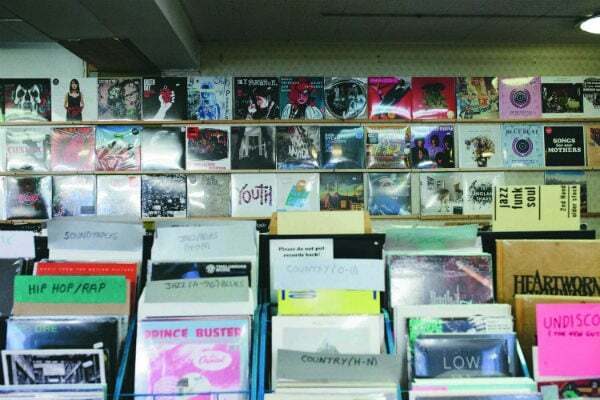 At their store in Orchard Square, Bear Tree Records plan on running a blind bag sale on Record Store Day to raise money for Bluebell Wood Children’s Hospice. 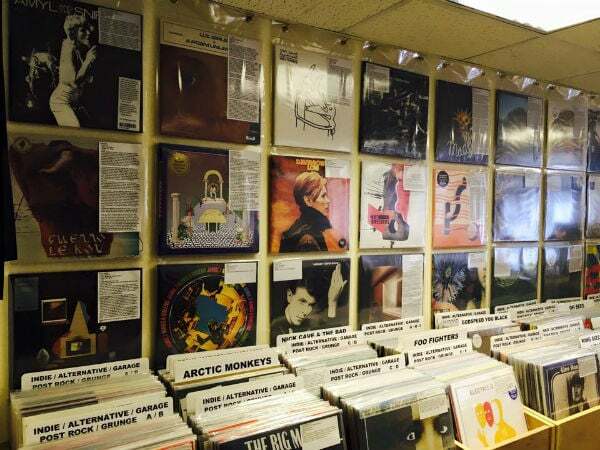 In the run up to 21 April, they will be encouraging local people to donate records for the bag, customers will then pay for a ‘lucky dip’ choice and proceeds will be donated to the charity. 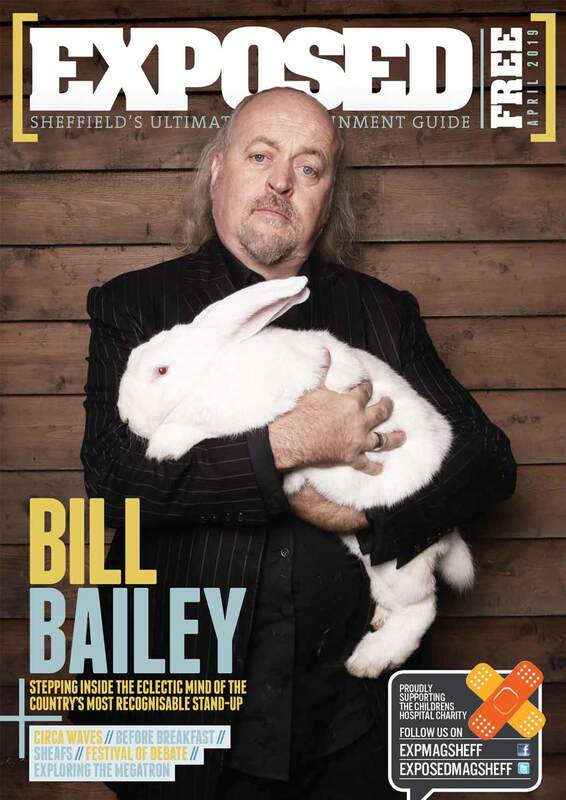 They’ll also be stocking a range of limited edition releases as they do every Record Store Day. Signed records from Dinosaur Jr, Hookworms, George Ezra, The Wytches, plus various bundles of records and promo items are also up for grabs. 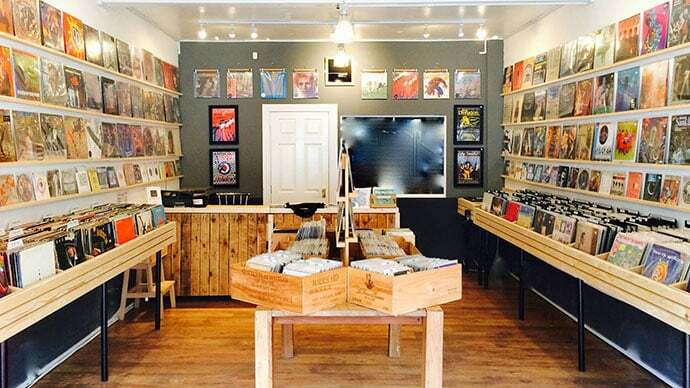 The Chesterfield Road store will be teaming up with neighbours The Tramshed to celebrate the day with a great selection of vinyl, live music, plus tasty food and beverages. Free tea and coffee will be served in-store with customers spending over £50 receiving a free tote bag with their purchase, while those spending over £100 will get the free bag and a Spinning Discs tee (while stocks last). Live music will take place next door between 3-7pm, with James Ewan Tait (3pm), Paul Littlewood (3.45pm), Party Hardly (4.30pm), Courtyards (5.15pm) and one more TBC artist (6pm) performing through the day. The popular Earl Street venue will be open for business from 8am-6pm on Record Store Day with coffee and snacks being served all day and alcoholic drinks available from midday onwards. They will also be running a whole host of live performances, including acoustic sessions headlined by Sheffield dream-pop sensations High Hazels (midday-5pm) and a full live gig headlined by Sheffield-born, London-based songwriter Casey Lowry (7.30-11pm, ages 14+). Plus there will be a club night from 11pm ‘til late for anyone aged 18+ who doesn’t fancy going home. Full details of this and the set list will be announced this month on their Facebook page. Head over to Furnival Gate on Record Store Day where LP Records will be running DJ sets from 4.30pm onwards at live music venue, Café Totem. Then, if you fancy sticking around, the event will be turning into a Northern Soul Night after dark (9pm-late). Details of the set list will be announced closer to the time. Alongside these live performances, their small but well-stocked shop on Arundel Street will be open all day for all your limited edition record needs. But get down there early as it gets very busy very quickly and you won’t want to miss out. Having first opened its doors in 2013, Sheffield’s newest record store Tonearm Vinyl is keeping it simple for Record Store Day. There will be DJs playing sets in the shop throughout the day and deals will be available on their usual stock. But unlike other stores, Tonearm are not stocking any Record Store Day titles this year, instead opting to make the day more of a local event. So if you find yourself in the South Road area on the 21 April, head over to Tonearm for a more modern, relaxed vibe. Details of the DJ sets will be released closer to the time.